Would you like a FREE SparePocketTM display for your store? 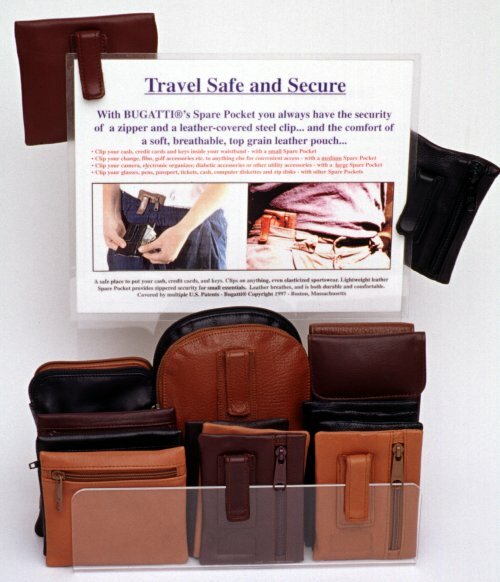 New England Leather Accessories Inc. can help you make the most of your counter space with a SparePocketTM display. For more information, please contact us.